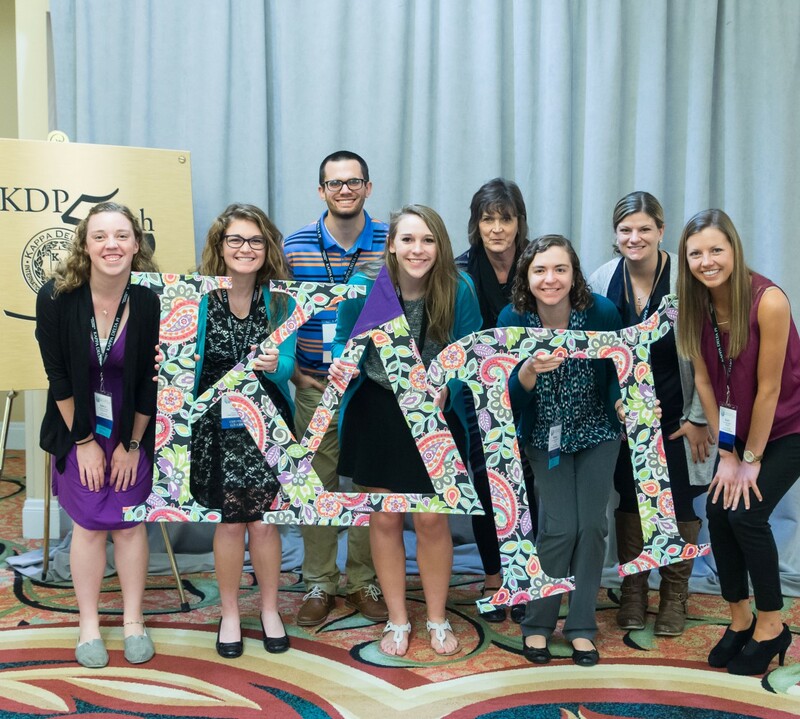 These awards honor individuals and chapters for their significant contributions to Kappa Delta Pi and the education world. 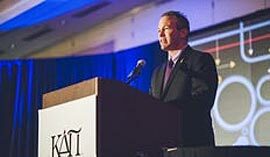 This year’s pool of winners include chapters with inventive and impactful programming, dedicated counselors and officers who are leaving an incredible legacy for their respective chapters, and chapters who serve their institutions well through their overall actions to support the education community both on and off campus. Thank you to all who applied for your thoughtful entries! Winners will be recognized at Convo 2018 and throughout the KDP Chapter webpages, blogs, and chapter highlights. The Program Awards recognize chapters for demonstrating excellence in one of six program areas: service, professional development, fundraising, membership, education for sustainability and communication. 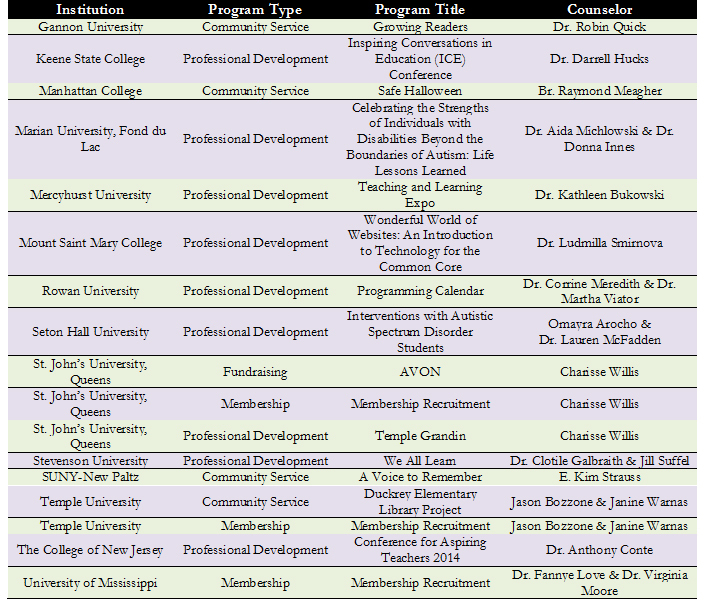 Seton Hall University — Praxis Prep! The Phoenix Award recognizes those chapters that have taken significant action to improve their overall level of effectiveness in chapter management and programming. The Distinguished Chapter Officer Award honors current or immediate-past officers who set positive examples for their chapters by representing the ideals of Kappa Delta Pi. The Chapter Counselors achieving this award are leaders who represent the mission and ideals of KDP and who have achieved excellence in the role of Counselor. Recognizing excellence always has been a part of Kappa Delta Pi’s mission, and we consider it a privilege to recognize the important work that our volunteers and chapters do to impact their communities. The Awards for Education Excellence honor those individuals and chapters for their significant contributions to the Society and the education world. You’re changing the world, so tell us how by applying for one of our many awards below! To help you with completing the application(s), we are providing you with many resources—including the rubrics by which all submissions will be reviewed and scored. We encourage you to use the rubrics to make your application as strong as possible. The annual awards (below) are for the 2015–2016 academic year, and the deadline for submissions is Sunday, May 15 at 5:00 p.m. (EDT). Winners will be notified by June 1, 2016 and will be announced on the KDP blog and social media. Recipients will receive a certificate and will also be recognized in-person at Convocation 2017 in Pittsburgh, PA from October 26–28, 2017. Chapters can submit up to five programs for consideration—one in each of the following areas: Professional Development, Membership, Fundraising, Community Service, and Communication. Find the eligibility, criteria, and requirements for the Program Award. When you’re ready, submit your application! Each year, we work with a number of chapters that find they have room for improvement. We are astounded by the efforts put in by chapter leaders to strengthen chapter-member engagement, establish programs meeting member needs, and identifying leadership opportunities for chapter members. Our intent with this award is to recognize those efforts and thank you for your service! Find the eligibility, criteria, and requirements for the Phoenix Award. When you’re ready, submit your application! Having a strong, engaged chapter directly correlates with having strong chapter leadership. Among their various other responsibilities, chapter officers plan events, organize service projects, recruit new members, and maintain the sustainability of the chapter. The Distinguished Chapter Officer Award honors current or immediate-past officers who set positive examples for their chapters by representing the ideals of Kappa Delta Pi. All of our 600+ chapters are eligible to submit one officer for consideration. Whose name will your chapter submit?! 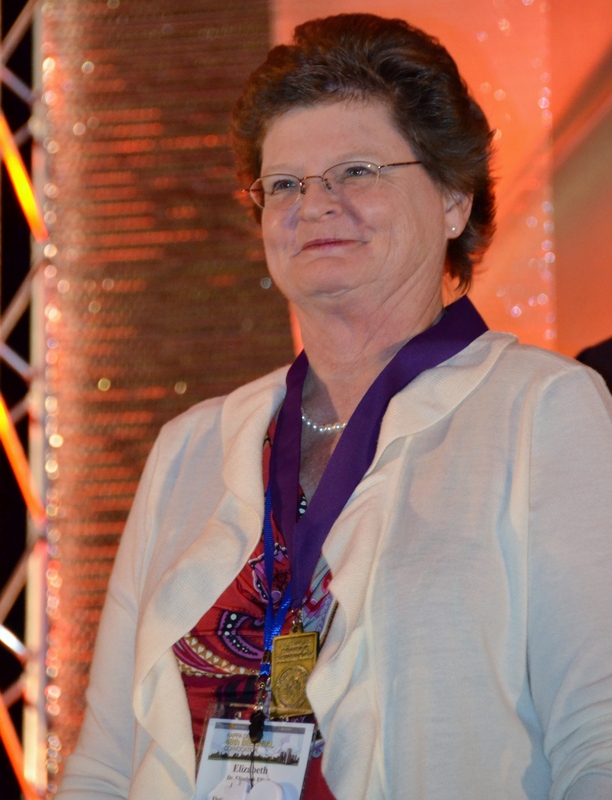 Find the eligibility, criteria, and requirements for the Distinguished Chapter Officer Award. When you’re ready, submit her/his name and nomination! Here at Headquarters, we always say (and strongly believe) that the sustainability of our chapters depends on the commitment and leadership of the dedicated Chapter Counselors and the mentoring they provide to the students and members. How has your Chapter Counselor impacted you individually and the chapter collectively? Submit his/her name for consideration of this prestigious award! Find the eligibility, criteria, and requirements for the Regional Chapter Counselor Award as well as the officer rating form. When you’re ready, submit her/his name for consideration! Submissions for the above awards are reviewed by a panel of judges, and award-winning applications will be announced on Friday, June 1, 2016. The biennial awards (below) are for the 2015–2017 biennium, and the deadline for submissions is June 1, 2017 at 5:00 p.m. Winners will be announced on the KDP blog and social media. Recipients will receive a certificate and will also be recognized in-person at Convocation 2017 in Pittsburgh, PA from October 26–28, 2017. 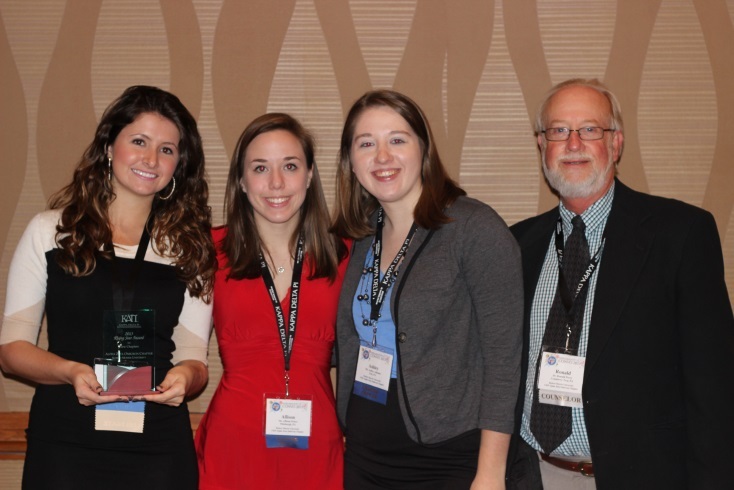 Established in 1995, the Achieving Chapter Excellence (ACE) Awards program recognizes KDP chapters that exhibit outstanding programming, membership, and leadership in support of the Society’s mission and strategic goals. Since its inception, chapters across the country have aspired to offer creative, purposeful programming and a full slate of chapter activities with a hope of earning this coveted award. Find the eligibility, criteria, and requirements for the ACE Award. We encourage you to print a copy of the submission form and fill it in as you go before applying online. Applications open February 2017. KDP welcomes several new chapters each year. The Rising Star Award for New Chapters recognizes these new groups that demonstrate outstanding management and programming in their first biennium following installation. Chapters installed between June 1, 2012 and June 30, 2014 that have not already won this award are encouraged to apply. Find the eligibility, criteria, and requirements for the Rising Star Award. Applications open February 2017. This award honors Chapter Counselors with at least five years of KDP service and activity for their service, scholarship, professional development, outstanding leadership of the chapter, and mentorship of the chapter’s student leaders. Find the eligibility, criteria, and requirements for the O.L. Davis, Jr. Counselor of Distinction Award. Applications open February 2017. The Lucinda Rose Counselor Award, funded by Drs. Vincent and Linda McGrath, honors an exemplary Counselor and chapter leader within Kappa Delta Pi. Find the eligibility, criteria, and requirements for the Lucinda Rose Award. This is not an open nomination award. 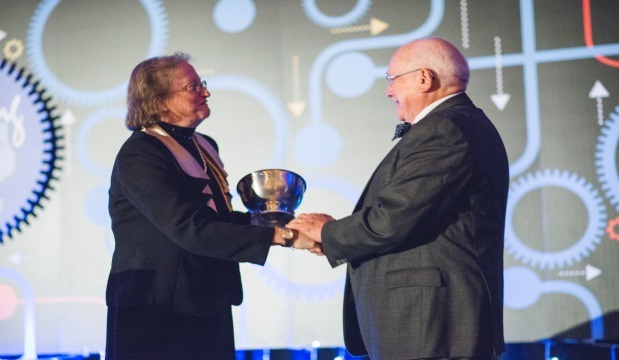 As a tribute to KDP’s founding members and their vision for the Society and its role in the field of education, these Founders Awards honor current educators at the local, national, or global level living these visions today. For more information, visit the Awards and Honors page. The Chapter Services staff looks forward to seeing all of your hard work reflected in the award applications! It is a pleasure to read about the chapter successes and about the individuals who have made a positive impact on the chapter. For more information about the Awards for Education Excellence and to view the recipients of past awards, please check out the Recognition pages of our website. You’re Award Worthy, So Apply! Chris Beaman is a member of the KDP headquarters staff on the chapter services team as well as an active member of Kappa Delta Pi. He oversees the awards program. We consider it a privilege to recognize the important work that our volunteers and chapters do to impact their communities; recognizing excellence always has been a part of Kappa Delta Pi’s mission. The Awards for Education Excellence honor those individuals and chapters for their significant contributions to the Society and the education world. We’re talking about members and chapter leaders like you! For the first time ever, to help you with completing the application(s), we are providing the rubrics that will be used to score your submission. We encourage you to use this resource to make your application as strong as possible. The annual awards below are for the 2014-2015 academic year, and the deadline for submissions is Friday, May 15 at 5:00 p.m. 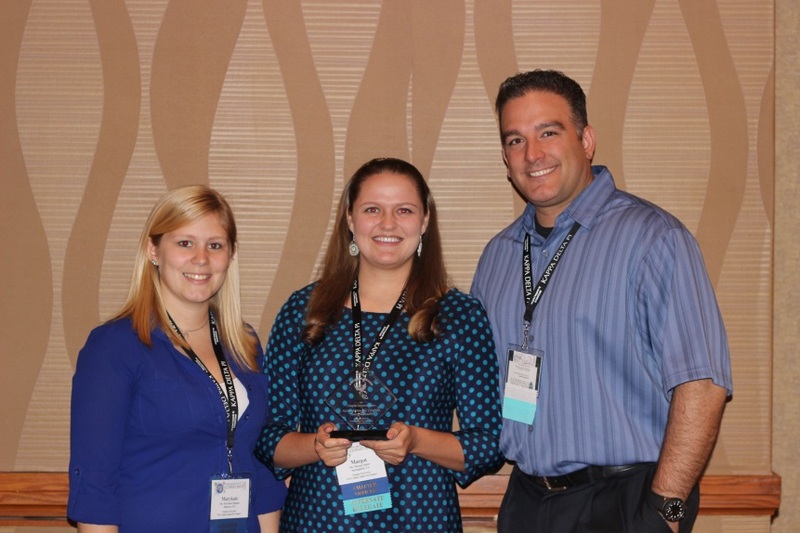 Winners will be recognized at Convocation 2015 in Orlando, FL from October 22-24, 2015. Chapters can submit five programs for consideration—one in each of the following areas: Communication, Community Service, Fundraising, Membership, & Professional Development. Find the eligibility, criteria, and requirements for the Program Award by clicking here. Go ahead and submit your application as well! Each year, we work with a number of chapters that find they have room for improvement. We are astounded at the efforts put in by chapter leaders to strengthen chapter-member engagement, establish programs meeting member needs, and identifying leadership opportunities for chapter members. Our intent with this award is to recognize those efforts in strengthening the chapter and thank you for your service! Find the eligibility, criteria, and requirements for the Phoenix Award by clicking here, and find the submission form by clicking here. Find the eligibility, criteria, and requirements for the Distinguished Chapter Officer Award by clicking here, and submit the officer’s name before May 15 at 5p.m. by clicking here. Here at Headquarters, we always say (and believe) that the sustainability of our chapters depends on the commitment and leadership of the dedicated Chapter Counselors and the mentoring they provide to the students and members. Find the eligibility, criteria, and requirements for the Regional Chapter Counselor Award by clicking here, and be sure to submit his/her name for consideration soon by clicking here. The above awards submitted are reviewed by a panel of judges, and award-winning applications will be announced on Wednesday, June 3, 2015. The biennial awards below are for the 2013-2015 biennium, and the deadline for submissions is Monday, June 1, 2015 at 5:00 p.m. 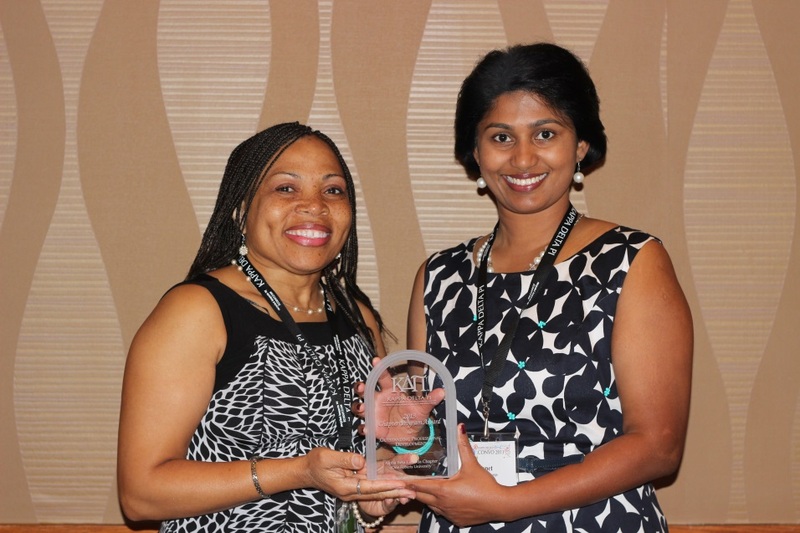 Winners will be recognized at Convocation 2015 in Orlando, FL from October 22-24, 2015. 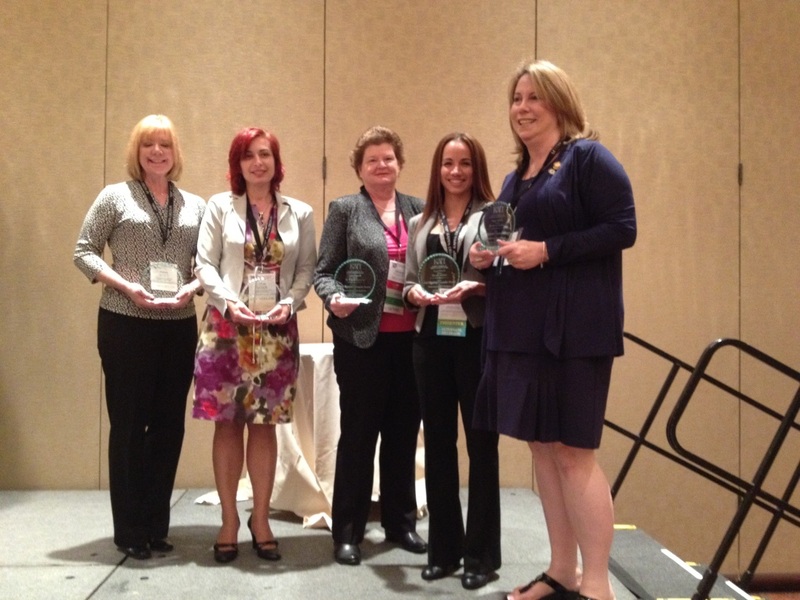 Established in 1995, the Achieving Chapter Excellence (ACE) Awards program recognizes KDP chapters that exhibit outstanding programming, membership, and leadership in support of the Society’s mission and strategic goals. Since its inception, chapters across the country have aspired to offer creative, purposeful programming and a full slate of chapter activities with the hope of earning this coveted award. Find the eligibility, criteria, and requirements for the ACE Award by clicking here. We encourage you to print a copy of the submission form and fill it in as you go before applying online. View the submission form now! Find the eligibility, criteria, and requirements for the Rising Star Award by clicking here. Apply now using the submission form! Find the eligibility, criteria, and requirements for the O.L. Davis, Jr. 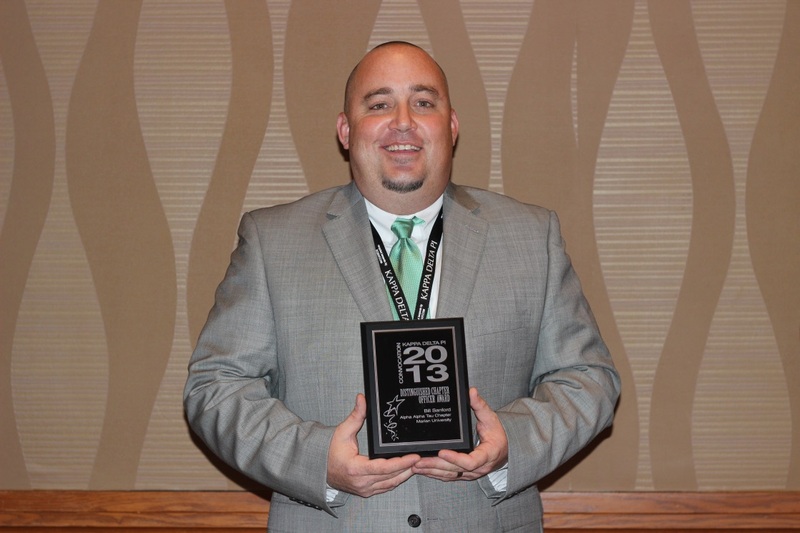 Counselor of Distinction Award by clicking here. Apply now using the submission form! Find the eligibility, criteria, and requirements for the Lucinda Rose Award by clicking here. This is not an open nomination award. For more information visit the Awards and Honors page. The above awards submitted are reviewed by a panel of judges, and award-winning applications will be announced on Monday, June 29, 2015. I am personally looking forward to reading through the award applications as they come in. Part of my job is to compile the applications in order to send them to our reviewing panel, and it is a pleasure to read about the chapter successes and about the individuals who have made a positive impact on the chapter. For more information about the Awards for Education Excellence and to view the recipients of our 2013-2014 annual awards, please check out the Recognition pages of our website. Proudly announcing our 2014 awards recipients! Chris Beaman is the assistant director of membership & chapter services. 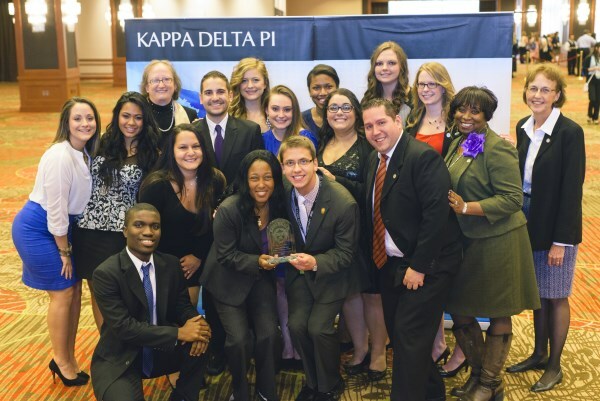 We are so excited to announce the recipients of the 2014 Awards for Education Excellence given by Kappa Delta Pi. These awards honor individuals and chapters for their significant contributions to the Society and the education world. This year, we were pleased to announce that we increased the frequency with which we award four (4) of our coveted awards to be handed out annually. The Program Awards recognize chapters for demonstrating excellence in one of five program areas: service, professional development, fundraising, membership, and communication. These awards are designed for chapters that have exceptional programming and may or may not qualify for the Achieving Chapter Excellence (ACE) Award. The Regional Chapter Counselor Award recognizes one dedicated counselor from each region that excels in his or her role for that region. The counselors achieving this award are leaders who represent the mission and ideals of KDP and who have achieved excellence in the role of counselor. Congratulations to all of our award recipients, and remember to carry what you learned from the experience(s) with you throughout your professional career. We look forward to continuing to recognize you in all of your successes along the way.